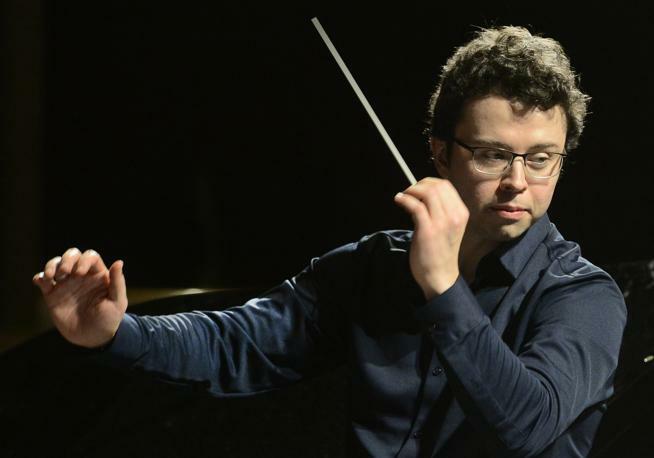 NICEVILLE — Northwest Florida State College selected Devin Hughes as the Mattie Kelly Distinguished Chair in Music and Conductor for the Northwest Florida Symphony Orchestra. "Everyone really loves classical music. They just don't know it yet. If they don't love it, they haven't experienced it under the right circumstances. The symphony is more than just an orchestra; it poses a global model of cooperation. A musician must adjust their belief system and values to serve the greater whole of the orchestra. No one person is more important than another and the cooperation creates a magical, effortless sounding event that inspires the soul." See what Devin is up to! Devin has founded multiple composer in residence programs and has collaborated with and commissioned numerous works with many incredibly talented composers. 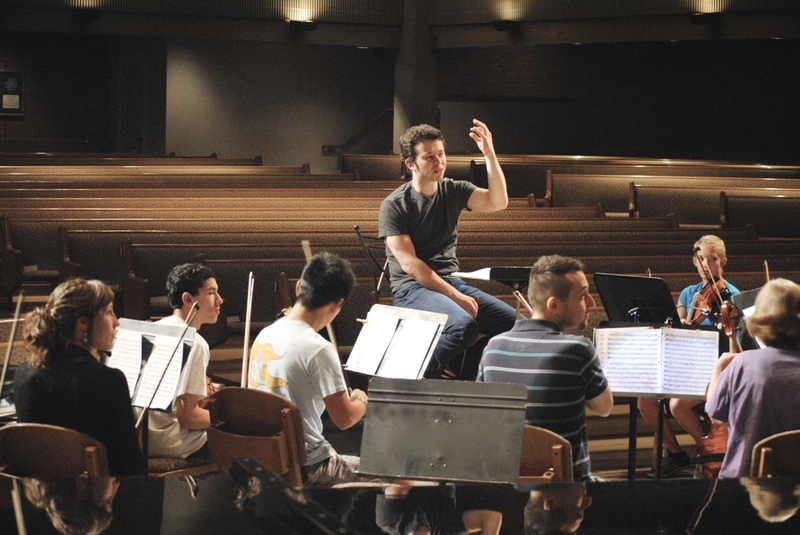 Some of the largest, most recent collaborations have been with Grammy-nominated Austin Wintory, critically acclaimed Edgar Girtain, eclectic composer-violinist Gregory Walker, and award winning Jonathan Sokol. New composers in residencies this season include the very talented Jonathan Bingham, Sebastian Laskowski & Elizabeth Anne Comninellis. "One of the most exciting ways to personalize and humanize the great masterpieces of the past is to premiere new works. 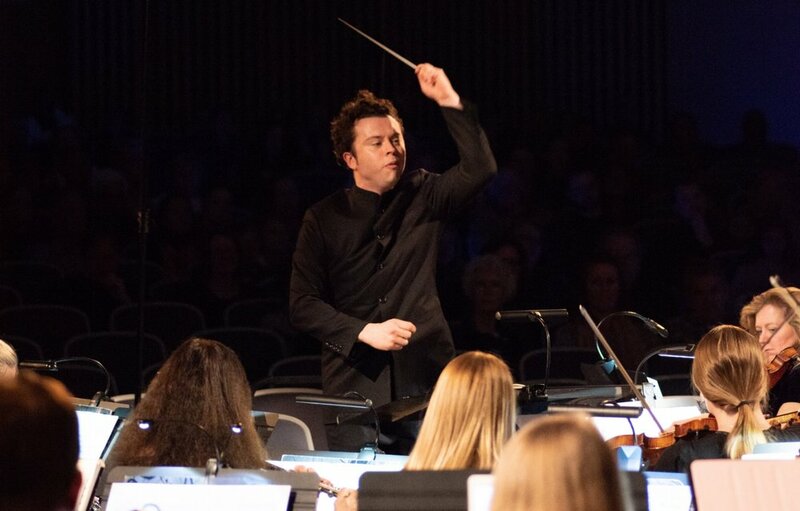 Going behind the scenes into the creative process is paramount to showcasing symphonic music as a work-in-progress tapestry." One of Maestro Hughes' greatest passions is sharing Classical Music with the masses and inspiring the next generation of musicians and music lovers, who will carry on its legacy. "I've never seen a kid who's been disengaged," says Hughes. "Kids haven't been touched by our idea of normalcy, so their sense of creativity is still unrestricted. When you put them in a concert with instruments and sound, they immediately connect with it. Even if you don't want your kid to pursue music or pick up an instrument, engaging them with this music will nurture their creativity for years to come." 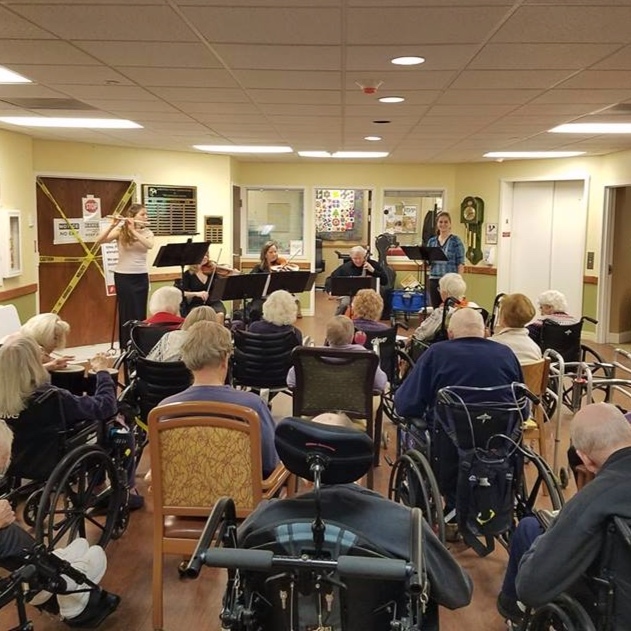 The AP is excited to launch its newest community outreach initiative, a music therapy-inspired program for memory care facilities in our region. We have all witnessed the devastating effect dementia can have on loved ones. Aside from memory loss, diagnosed individuals and their families often deal with mood changes, depression, paranoia and decline of social skills. The Northwest Florida Symphony regularly gives sensory friendly and interactive presentations at the Emerald Coast Autism Center, and additionally partners with the Emerald Coast Music Alliance to bring music to all. One of Devin's newest projects is creating more exposure and unique, semi-staged and fully staged versions of operatic productions. Partnering with local artists and businesses, Hughes brings to life exciting works and provides performance opportunities for many talented regional and national singers, enriching the community with this inspirational and glorious art form. To date, Devin and his teams have brought to life fully staged productions of Le Nozze di Figaro, Carmen, La Bohème, Die Zauberflöte, and La traviata along Colorado's front range. "Wow! What a wonderful experience and surprise to see Devin's energetic conducting and hear beautiful music and singing. As a New Yorker who just moved to Boulder, I was missing going to the Met and all the wonderful operas. I felt as if I was back home. The Boulder Symphony was very close to The Met (of course, missing the Met stage) but the music and opera was just as good!" 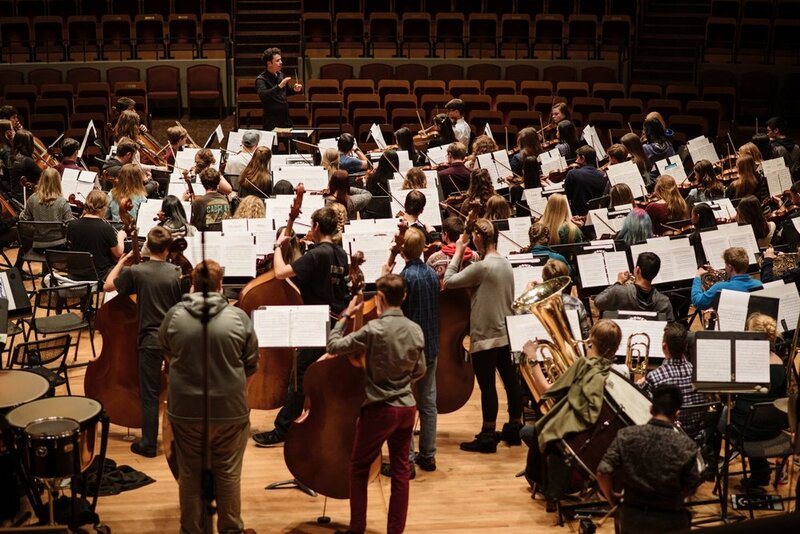 Devin has partnered with the Arapahoe Philharmonic and Avanti Music Academy to begin the Civic Youth Orchestra in Denver.